Read the Bible from start to finish, from Genesis to Revelation. Step #2: Choose a Starting Date Start your reading plan by tapping on a date below or choosing a custom date here. 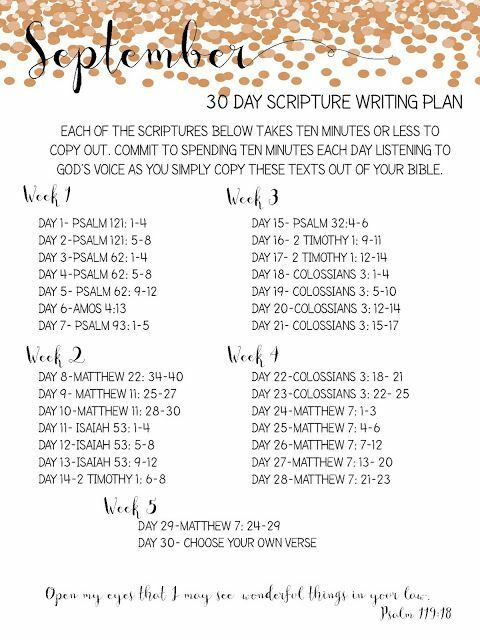 *To view the scripture reading for a given day, click the scripture on that day. Read the Bible in a Year is Robert Murray McCheyne's calendar of daily Bible readings, designed to help you have a consecutive Bible reading plan. Read the Bible in a Year is Robert Murray McCheyne's calendar of daily Bible readings, designed to help you have a consecutive Bible reading plan.